I’m always curious to see what churches have on their tithing envelopes. There are all kinds of tithing envelopes. There are envelopes that you can color. There are ones that have bible trivia on it. There are even ones that share a bible story on it with a full color picture. Tithing envelopes are created for all different age groups. Here’s a website that makes tithing envelopes from ages pre-k, all the way to adulthood. There are two main elements to a tithing envelope. The first is the verse. Typically the verse is Proverbs 3:9 or Malachi 3:8-10. Sometimes the envelope has 1 Corinthians 16:2, but many churches don’t put that on there, because that eludes to freewill giving instead of tithing. 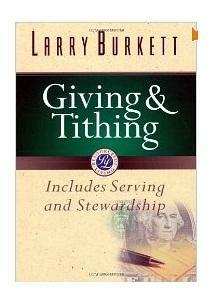 The second element to tithing envelopes is the informational part. This is usually your name, address, date, and amount of gift. 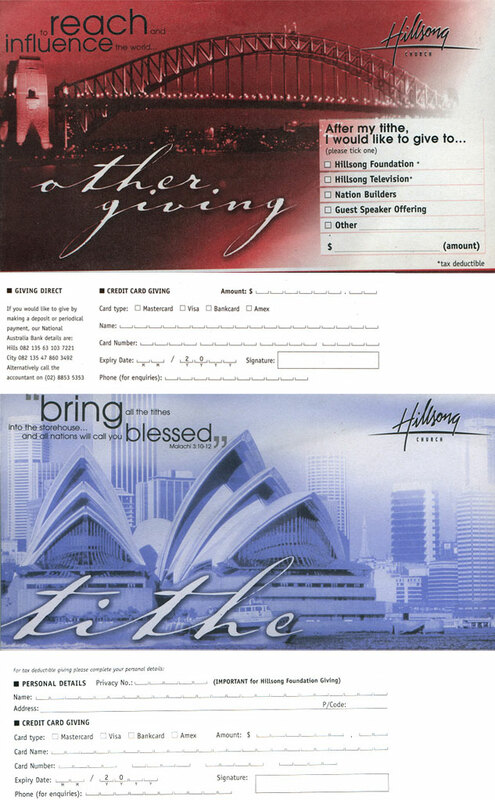 More detailed and complex tithing envelopes have check boxes that you can designate your gift to. Other tithing envelopes have a place where you can fill in your credit card information. You’re right, your giving is none of my business and you have nothing to prove to me. You do make a wrong assumption about me, I’m not performance driven, because you can’t win at that game, when it comes to anything spiritual, how much is enough, is 1 hour a day of prayer enough, doesn’t God deserve 2 hours, how about 10 hours, you get the picture, we can’t win at the performance game. Is 5% enough to give, how about 10, why don’t we make it 50%, where does it end. It doesn’t. God is always interested in the heart, however, you are right, our actions are a sign of our faith and what is truly going on in our hearts. We can’t say we LOVE giving to God and not give, we can’t say we LOVE prayer and never pray, we can’t say, lost people are of extreme importance to us and never share our faith – James did say, I’ll show you my faith by what I do. Spiritual talk should be backed by spiritual action, but even at that, we do have to be careful or we’ll become performance driven, I think that “works” is the spiritual default setting. Your life and mine sounds similar – we moved a few years ago and didn’t hook up TV for 2 years, my children said we were the only ones on the planet without TV – I did assure them that there were a couple of Jungle Tribes in South America without TV, but they weren’t sure about that. I too drive a vehicle with 180,000 miles on it that the transmission just died on me this week – BUT, it’s been paid for for 5 years – so fixing the transmission is much cheaper than a monthly car payment, so I feel like I win financially every month when I don’t have a payment to make. Well, it seems someone revived this chat. I pondered for a while wether to post something back, but I felt I had to. Just want to let you know Tracy, that no matter what you say, good all Steward is too smart for all of us combined. It doesn’t matter that you agree with him on no tithing, you lost him when you told him the reason he doesnt tithe — “Love of money” or “stingy giving” as you call it. You are absolutely right, there are none, that I personally have met, that reject tithing and are liberal givers, none, zilch, zero. That I have met. I am sure steward is not one either, that is why he lists his expenses but not his giving, because it is “not your business” but it is your business to know how much expenses he has and how hard he and his wife works. The bible has but one word for people like him “Hypocrite”! I did post my giving. I have enjoyed reading this debate, but have frowned on many occasions at the harshness of your tones. I agree it is a serious matter, but using scripture to chastise or chasen one another is not our duty. Rather to explain and take joy in sharing with one anoher. Scripture will be revealed to us in spirit and in truth. Let God do the judging eh! Your sis in Christ, Cherub! Remember not everyone who comes out of israel is an israelite. God bless you, I hope you are sincere in your quest for truth. People who don’t want to tithe are greedy, stingy and have a huge problem with money it’s that simple. I don’t care how educated you mockers think you are TITHING is in the Bible! No where does it say stop tithing! People who don’t tithe are the real ones who love money and that’s why you don’t want to give any of it away! You and your theological arguments are all garbage and we Jews the true people of God think you Christians are stupid! We tithe and we give 20% willingly and with correct scriptural backing that’s why we rule the world and you people are ordaining homosexuals and fusing over a simplistic doctrines such as tithing. No wonder your weak so please keep it up! Dumb and Dumber!!! Nowhere does it say to stop giving food, or to Levites, or from the increase from the promised land. These were all required in the bible. But you only want to see what you want to see. To me this is simple since the tithing law was never changed anywhere in the bible but you are too hypocritical to agree with the whole scripture. You only want to blast your libel without any evidence (which is called lying, slander, false report). And your name calling shows how unprepared you are at apologetics. You sound like an intelligen person, who messed with your head ? Are you a christian ? If you are a Jew, then why do you treat people who Christ died for with contempt. Every beliver who follows Christ are Gods people, stop your argoant, jealous, uninformed, stupid comments. It show how shallow and immature you really are. If you cannot kill people who commit adultry or break the sabbath then you have sinned against the Mosaic law. How can you try to teach gentiles about the Law of Moses you do not know how to live by it and the consequences if you break it. The new covenant is based on Grace not on keeping laws that enslaved the Jews. Read all of Galatian before you open your mouth or write stupid comment.